Both indoor and outdoor spaces have design requirements and needs. 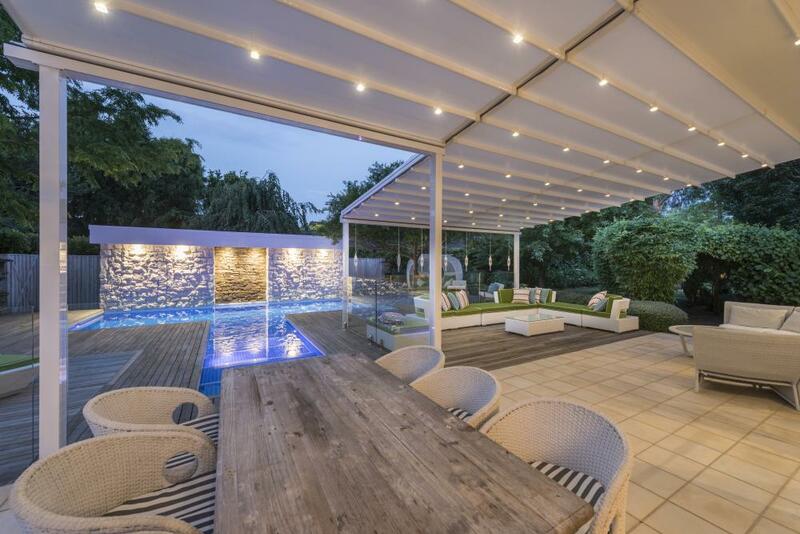 A professional consultant from Ozsun who specialises in lifestyle design will come to your home or business to view the space you would like to install the awning and give free advice. Create an outdoor space that you can use all year round. “Our lifestyle consultants see themselves as both interior and exterior designers. Just as an interior designer will advise on the inside, our consultants will advise on the outside as well,” Peter explains. With the Australian climate and culture of barbeques, people spend a lot of time outside utilising their out door space. 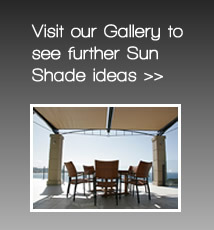 It doesn’t matter if it is a small balcony or expansive backyard there are shading solutions for all spaces. And space is a major consideration when choosing your awnings and blinds with most people wanting their awnings to be unobtrusive. “You can extend your outdoor entertainment area simply by installing an awning. 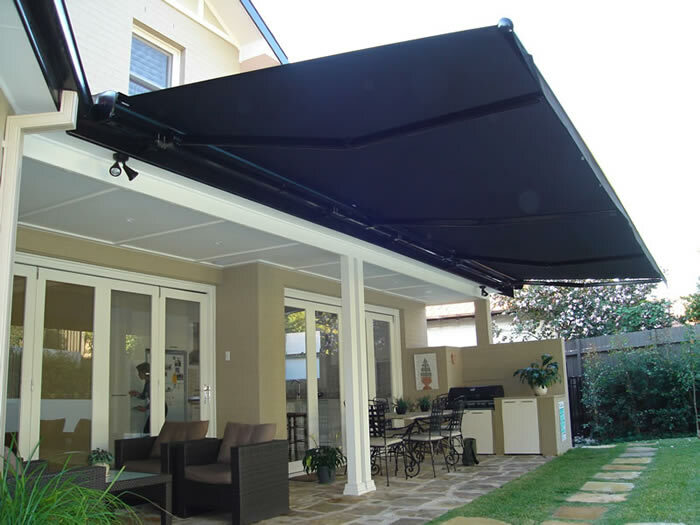 Folding arm awnings can be motorised and have optional sun and wind sensors that will retract the awning if it is left out in a storm,” says Peter. Outdoor awnings are all made from long-lasting, UV resistant materials with a huge range of colours to choose from. A lifestyle designer from Ozsun will be able to advise you on which colour will best suit your surroundings. Many of us live in highly populated areas with the neighbours overlooking our outdoor space. Outdoor screens not only provide protection from the sun and the wind but make an outdoor area much more private. 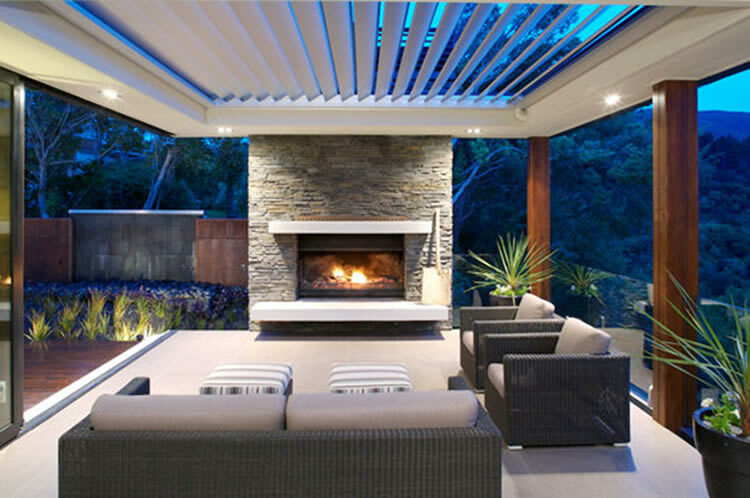 Like awnings, outdoor screens come in a wide range of modern fabrics and colours, which will enhance any space. “The beauty of screens is that they can be fixed to an existing pergola and verandah – they are a very simple way to make your yard more private and protect you from the elements,” Peter explains. If you have hired an architect, the staff at Ozsun are more than happy to meet with them and go through the plans and consult on the awnings and blinds. “Properties all need to take sustainability into account. Our staff can advise on shading and retaining heat which are so important if you wish to lessen your footprint on the environment and save yourself money when the power bill comes in,” Peter says. If you want to add value, improve your energy rating and protect you and your building from the elements it is important to choose the awning or blind best suited to your needs. By speaking to a consultant at Ozsun you will receive professional design advice and a solution, which will enhance your lifestyle.